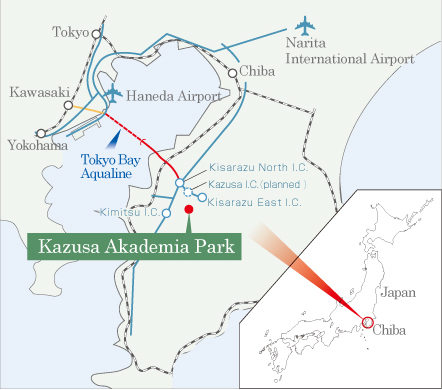 Kazusa Akademia Park is a leading science and industrial park which located in the rich green hills of Chiba Prefecture. 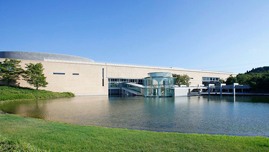 A world class research institute in biotechnology and incubators are located in the center of the park, which are surrounded by highly-advanced factories in cutting-edge technologies. There is a high quality hotel and a hall which are ideal for both conventions and relaxation in the park as well. Kazusa Akademia Park provides industrial sites with basic infrastructures for advanced factories and R&D facilities in cutting-edge industries. 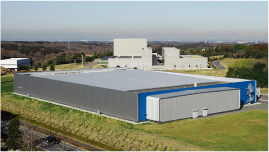 The park is one of the growing industrial complexes in Chiba Prefecture and many factories in various industries have chosen Kazusa as their manufacturing hub for the greater Tokyo area. 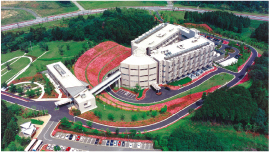 The Kazusa DNA Research Institute is one of the top facilities in the field of large scale sequencing and analysis of plants and related bacteria as well as human cDNAs. Incubation facilities which are capable of supporting extensive research and development activities are located close to the Institute. Kazusa Arc is a high quality convention and resort complex situated on the spacious ground of Kazusa hills. Kazusa Akademia Hall provides a wide range of conference facilities including a large main hall. Okura Akademia Park hotel and sports club' Aqua Kazusa' offers a comfortable and relaxing stay in a tranquil atmosphere with a rich natural environment.